Legal to Own in California as it is over 25 years old, see below…. 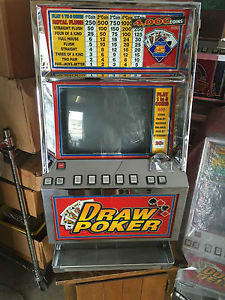 I’m selling a wonderful vintage Draw Poker Video Slot Machine. It is currently in great working condition. You are looking at the REAL thing! It accepts nickels. 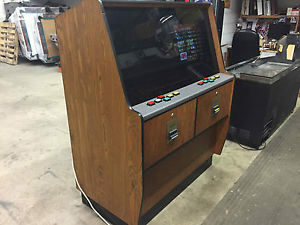 It was manufactured by International Game Technology (IGT), in Sept. 1981. Model 701, Serial 104597. It comes with it own custom built stand. The machine measures 16″x 19″x 35″. The screen is 9″x 11″. The custom built gaming stand measures 19″x 24″25″. All measurements are approximate. The body of the machine is in great condition along with the monitor. Perfectly legal as it 34 years old, you can see the Ca laws posted below. This item is being sold as-is. No returns or guarantees. We do not give legal advice. Check your local and State laws before you buy a machine from us. If you plan to re-sell these machines then PLEASE check with local authorities BEFORE you buy or sell these machines ! WE will not be responsible for any compliance or non-compliance with Federal, Local or State laws. We are registered with the U.S. Department of Justice to ship gambling devices across state lines. Pachislos are Prohibited in Alabama, California, Louisiana, Missouri and Oregon. “Pachislo OK” refers to token use only. If it says “Quarters OK” after it, you can convert it to quarters legally for home use. Don’t forget to check current local and state laws. ARKANSAS Machine LEGAL, Registration Required. MASSACHUSETTS 30 Years or Older. Poker machines & Video gaming devices of any age are legal for personal use. MONTANA 25 Years or Older. Machines are not allowed to be on public premises for sale or display. 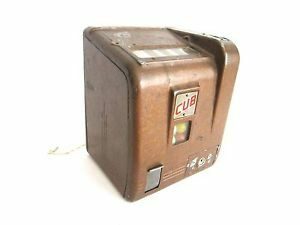 NEW MEXICO: We received a letter form the Gaming Control Board of New Mexico stating the following; The only gambling device that my be possessed without a license from the board is a bona fide antique device. 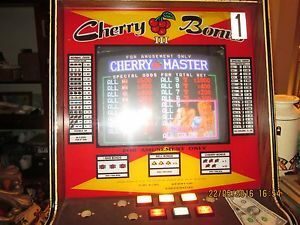 An antique gambling device is a gambling device that is at least 25 years old, is substantially in original condition, and is not used for gambling or located in a gambling place. It is illegal to possess gambling devices otherwise, in New Mexico unless you are a distributor, manufacturer or operator licensed by the board. “This letter was dated August 2, 2000”. NEVADA Any Machine LEGAL. Individuals may only sell two a year with required application filed with Nevada gaming control board. 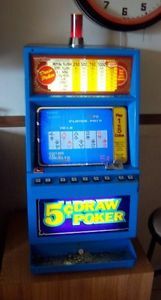 OREGON 25 Years or Older, Pachi-Slo style slot machines are illegal in Oregon unless they are over 25 years old.